We're here to help you find ways to talk to your kids about family homelessness. We know that homelessness is a difficult issue for children to understand. Kids are extremely sensitive and empathetic, which means that it is important to strike the right tone. That is why we are partnering with Paddington™ to give you tools to talk to your children about how they can help neighbors in need. CCEH is fortunate to have Paddington™, who himself was homeless at the beginning of his journey, on our side helping children of all ages develop a deeper understanding of how homelessness affects their peers. Our goal is to give parents and educators tools to build empathy among members of the next generation so children can learn how they can make a difference. The be homeful project provides an opportunity for students to engage with the issue of homelessness in age-appropriate ways. Through age-appropriate lesson plans, we aim to teach young people empathy and offer constructive ways to build a social safety net that ensures every child has a place to call home. 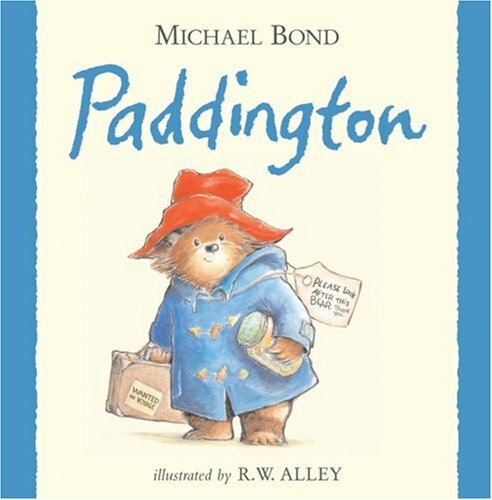 Read the story of Paddington. You can check it out from your local library or order his books on Amazon. As his story explains, Paddington™ was homeless at the beginning of the story but fortunately it didn't take long for him to find a loving home with a solid roof over its head. But had he and the Brown family not had a home, what would they have needed to find one? What kinds of challenges would they have faced in affording one? You can talk about difficult concepts in very simple terms. Paddington™ took a long journey to get to his new home but children and their families shouldn't have to go far to find a safe, comfortable place to stay. Find a map of the number of homeless families in each state. Look at it and talk about the numbers. Can you find your state? How many homeless families live where you do? For older kids, you can compare the number of homeless families in each state with a map of the average cost of an apartment. How are those two things related?